Further tests revealed that the forward suffered a stress fracture. 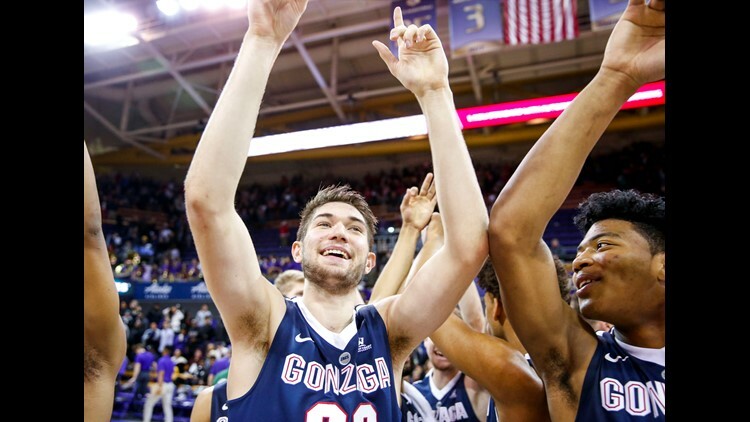 SPOKANE, Wash. — Gonzaga will be without junior forward Killian Tillie for the first eight weeks of the season after injuring his ankle during practice, according to head coach Mark Few. Tillie re-aggravated an ankle injury during practice. Further tests revealed that the forward suffered a stress fracture. The team said Tillie needs surgery and will miss roughly eight weeks. Tillie was named to the Kareem Abdul-Jabbar Watch List and Preseason All-West Coast Conference. Last season, he averaged 12.9 points per game on 58 percent shooting from the field, making 47.9 percent from behind-the-arc. The Cagnes-sur-Mer, France, native scored 20 or more points in nine games and averaged a block per game. The Zags play Central Washington in an exhibition game on Thursday and will kick off their regular season against Idaho State on Nov. 6.